Most people think of their basement or crawlspace simply as a place to store their stuff, but from the home inspection standpoint, these areas are much more than that. 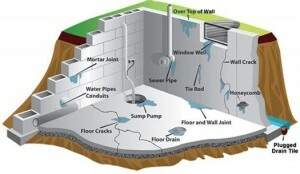 First and foremost, the area underneath a home is what actually holds up the home; the foundation. The basement/ crawlspace is where we may be able to see columns or posts, sub floor issues and the structural framing of the main floor of the house. This area can also offer a view into moisture problems caused by the outdoor water drainage system and water proofing system. Plumbing entrance and exit pipes, and electrical service, as well as heating and cooling systems are also often found in this area. At Pace Home Inspections, we take a good look at all of the systems and components in the basement, report the homes performance, and report our finding directly to you.